Whether we have 50 participants or 500, our approach to instruction is the same: recurring, recorded individual evaluation. We are the only educational workshop in the country where every student receives individual feedback with video recordings & one-on-one instruction by a staff member. 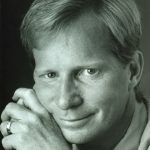 Students attend lectures, are given notes specific to their personal conducting needs, and are shown precise techniques on how to improve their conducting ability. Each day they are re-evaluated and additional advice and instruction occurs to assist in facilitating their continued progress. Ready to improve your conducting? We’ve been teaching proper field conducting mechanics for almost 40 years. And we can’t wait to show you what it’s all about. Improvement of individual teaching skills is enhanced through the development of every students’ observation skills. Marching technique is the vehicle through which students learn observation & teaching skills. Students learn how to “clean” through the application of the unique DMA teaching procedure. Band Directors know how important it is to have additional sets of eyes to assist with rehearsals. The DMA procedure teaches students how to be those sets of eyes. 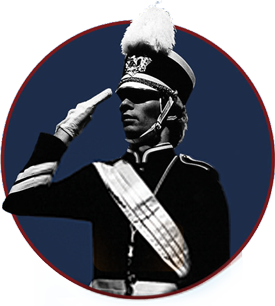 DMA does not teach students HOW to march and respects and encourages the individual styles and philosophies every band program in the United States has to offer. Want to become a better teacher? A good Drum Major is more than just a conductor. Drum Majors lead, even (especially!) during rehearsals. Learn how to teach your band. The single most important quality a great Drum Major must have is strong leadership. And so much of that depends on communication. These critical skills are a continuous thread woven through the entire DMA curriculum. Students attend lectures on attitude, large group dynamics, developing trust, and earning respect. Leaders are not born. They are raised. The DMA workshops have been training thousands of young leaders for decades. All lectures are conducted by George N. Parks’ protegés, our Lead Staff. Each Lead Staff member is a professional music educator who studied with Mr. Parks. Our Leads incorporate George Parks’ philosophies and approaches in their daily teachings, at DMA and in their own programs back home. Will you become a leader? Leadership goes beyond the field. It’s not just band. Become a leader in life. 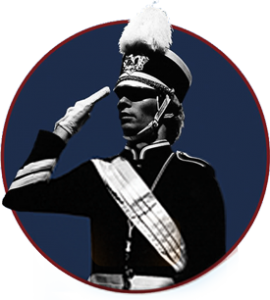 DMA has been setting the standard in Drum Major education for more than 40 years. Our founder, clinicians, and professional staff members make all the difference. Here’s why. Our founder, George N. Parks (1953-2010), began teaching drum majors at West Chester in 1973, and founded the Drum Major Academy® in 1977. 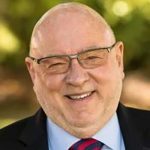 Dr. Tim is a nationally-recognized advocate for arts education; bringing workshops, seminars, and lectures to millions of students since 1981. 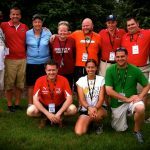 The Drum Major Academy is the nation’s foremost authority on the art of drum majoring, training today’s band leaders more than 40 years. Our graduates have become drum majors at top bands and drum corps. And wait until you see what our past students say about us. Over 40 years, we’ve taught hundreds of thousands of young drum majors. Many of them come back for 2nd and 3rd years. We’ve been at this for longer than anyone else in the business. The legacy of our roots continues with each workshop each year. DMA graduates have gone on to become successful drum majors at more than 80 of the world’s best drum corps & college marching bands. There are many training camps throughout the country, but there is only one Drum Major Academy. Take advantage of a once in a lifetime opportunity to realize what a great impact you can have on your band and its members. Dr. Tim LautzenheiserAttitude Concepts for Today, Inc. The skills our students garner, along with the positive teaching methods they learn continue to inspire them to reach higher, give more and make a positive impact on our band. These are skills that last a lifetime. Drum Major Academy has my highest endorsement! The GNP DMA played a huge role in the success of our band program. The knowledge and skills gained are second to none. I recommend it to ALL current and future band leaders. When our drum majors return from the Academy each year, they are more focused, organized, and prepared. They motivate the entire leadership and seem ready to run Band Camp all by themselves!